Manitoba Association of Home Economists (MAHE) and Manitoba Home Economics Teachers’ Association (MHETA) members celebrated World Home Economics Day, March 21, 2012, by assembling pillowcases! All pillowcases made were donated to charities of various settings and contributed to the one million pillowcase project that is currently underway in Manitoba. 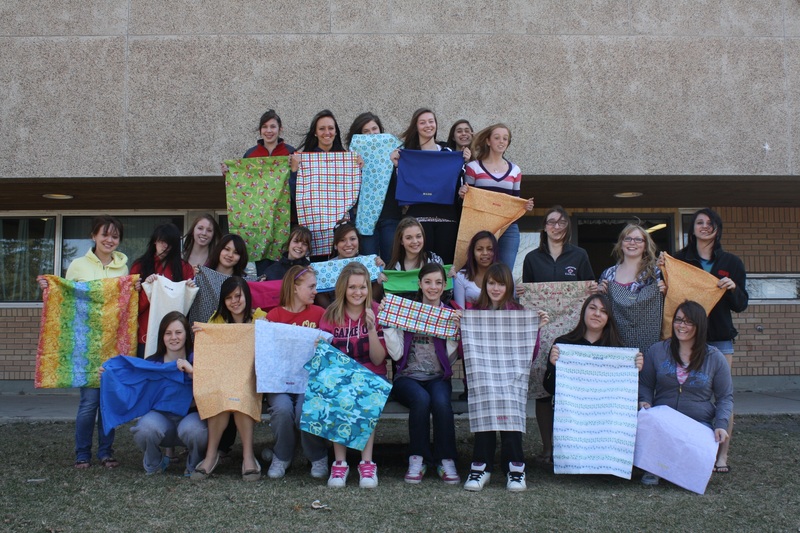 Pillowcases were assembled at parties or by individuals at home and a total of 281 were made! Job well done! Along with providing pillowcases to those in need, community members joined forces and helped showcase the importance of World Home Economics day in a new and innovative way. The Pillowcase Project was highlighted in local newspapers, School Division Websites and was embedded into classroom activities.